Kristen speaks with Amy Shearer, the Chief Marketing Officer at the Philadelphia Zoo about their new Creatures of Habitat LEGO Brick sculptures throughout the Zoo, Urban Green open air food marketplace, the return of the Zoo Keys, and all that the Philadelphia Zoo has to offer this year. 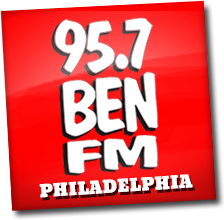 PLUS - If you listen to the interview between Friday 4/5/19 and Monday 4/8/19 at 10am, you can enter a text contest to possibly win a 4-pack if tickets to the Philadelphia Zoo, along with 4 Zoo Keys! Listen for the word to text in. Then, Kristen is joined by Debbie Schofield, the Secretary of the Board at Garden of Health Food Bank in Souderton, and Carol Bauer, the organization’s Founder. Their Sip and Savor event is this Thursday, April 11th from 6-9pm at the Raymour & Flanigan Furniture and Mattress Store in Montgomeryville. The party will feature a silent auction, as well as samples from local wineries, spirits, breweries and healthy food. All proceeds will benefit Garden of Health, Inc Food Bank. Find more details at GardenofHealthInc.org. Buy tickets for the event at https://sipandsavor19.eventbrite.com.